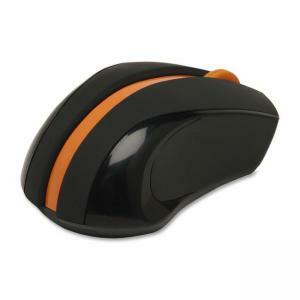 2.4GHZ wireless mouse offers a four-way wheel for horizontal and vertical scrolling and even runs on glass. No-lag technology provides smooth cursor movement. Nano multi-link receiver allows connectivity for up to three sets of compatible units. Mouse also features 16 programmable commands, adjustable DPI and report rate. On/off switch is located on underside of mouse. Storage compartment for dongle is in battery compartment. Wireless mouse uses two AAA batteries (not included).